December 23rd, 2015. 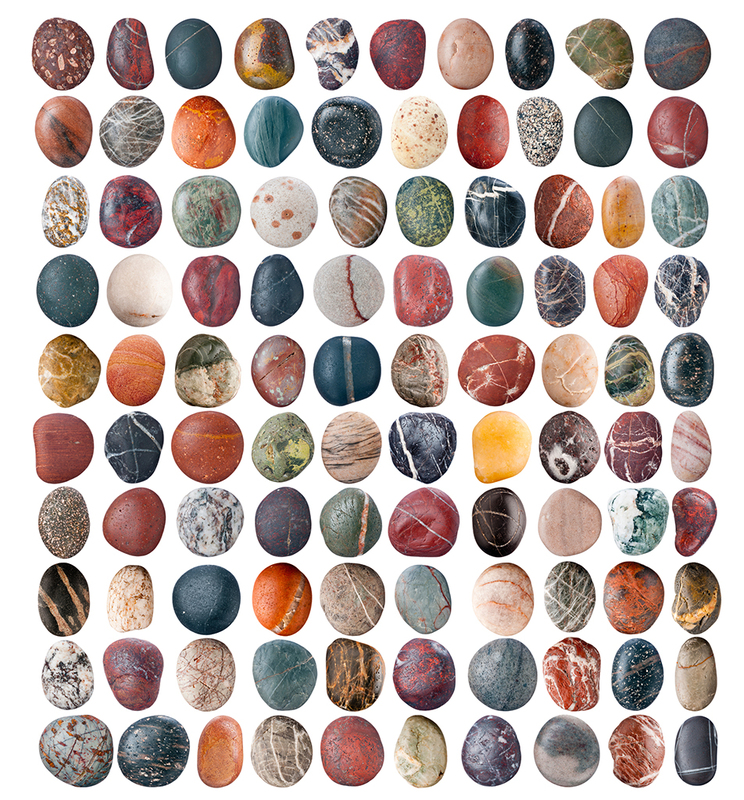 A project that started over a year and a half ago, with the photography of a few pebbles against a white background, is nearing its conclusion. 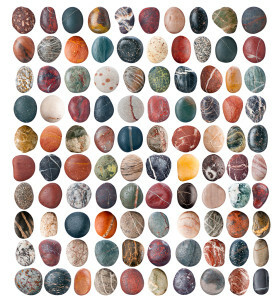 I’ve assembled the first of 5 36″ x 36″ panels featuring the first 100 pebbles, each shot individually. This project is all about individuality, challenging the lazy tendency of this age lump together rather than to acknowledge diversity. The pebbles on this beach in Scotland are as diverse as “immigrants”, “Americans”, “Muslims”, “bugs” or, for that matter, “rocks”.